We all judge books by their covers—none more than me. I especially judge the covers in my favorite genre of science fiction, and I have high expectations. Selfishly, I’m hoping to see less cheesy covers that focus on real models superimposed onto green screen backgrounds of fantasy worlds and more covers that include clean, intriguing, and eye-catching illustrations and dynamic color—but, hey, I’m only one of the multitudes of hungry readers. However, I refuse to believe we can’t move past the paperback designs of the past with their jumble of chunky fonts, strange color palettes, and, dare I say, unappealing illustrations of aliens. What trends in fonts, color, and overall design dominated the genre last year, and what will heighten and inspire future book covers? Let’s jump in and start judging based on my not-so-expert opinion. Many cover designs are featuring red either as an element of the overall color palette, as a major element of the design, or even to highlight and contrast the book title and author name against the background. The warm tones are reminiscent of blood, fire, and all those wonderful, quintessential dystopian elements. Visually stunning and striking, I can see this trend continuing beyond 2019 releases. Surprising color combinations are pushing the boundaries of traditional science fiction cover designs into a new space (pun intended). 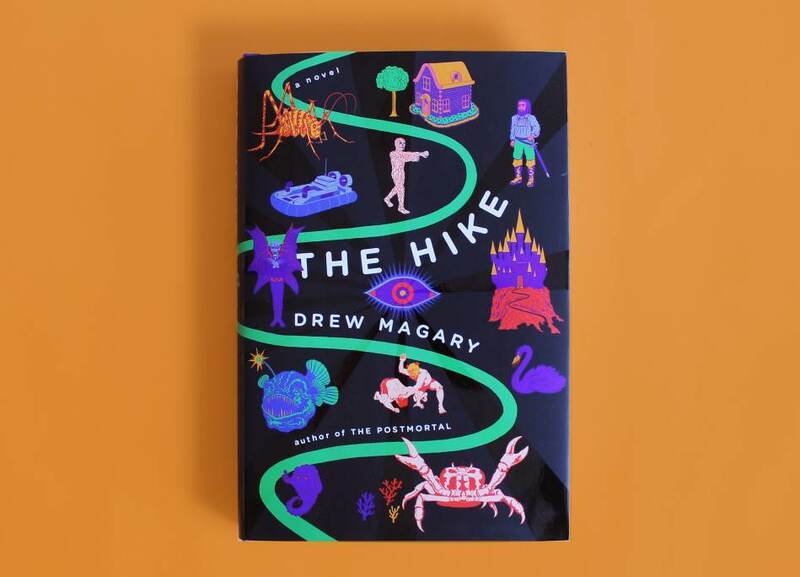 Vivid, punchy yellows, soft, calm mints, and smooth gradients all contrast with the images and textures displayed on the covers, like burning houses or radioactive elephants. These covers all achieve a blend of various design elements with the use of clear symbolism conveying a specific mood or theme to the reader. Using texture, easy-to-read fonts, and recognizable images against contrasting backgrounds, these covers portray dark, mysterious, and treacherous worlds. Relying on clear symbols that resonate with the viewer, these designs represent an element of danger that can be disarming and unnerving and use representations of predators from the natural world that are familiar to us, like snakes or disembodied tentacles. Every human can identify with the primal fear these symbols evoke. More and more book covers are utilizing digital illustrations or a combination of illustrated and digital elements. I’m extremely excited to see beautiful, dark, and brilliantly executed illustrations that convey a science fiction feel without feeling overly cheesy. I’ve included a broad range of what I mean by “complex and illustrative.” These covers display a wide range of complexity and symbolism in their designs. Highlighting a lone protagonist is still a popular design trope, but there are ways that modern design can use this classic element to establish a striking visual image. Most, if not all, of these covers utilize this last and most glaring trend of modern science fiction book covers. With the popularity of Andy Weir’s The Martian , futuristic fonts are ever-present elements of science fiction cover design. As we turn to our mobile devices and the internet to source and discover our books, book design across genres are attempting to include large, easy-to-read fonts so even at a quick glance at a tiny thumbnail, consumers can see the title and author. There are many exceptions to this rule, but the majority of science fiction cover designs use sans-serif fonts, giving a cleaner look to the overall design. Plus, the blockier fonts give the covers a futuristic, technological vibe. I can’t wait to see how designers build upon these popular trends and continue to push boundaries and hook readers in just on a single glance. How do you feel about the direction of science fiction book cover design, and what would you like to see on the cover of your favorite science fiction books in 2019?